Seaside seats near the road overlooking the Aegean. It was hard to leave this morning. 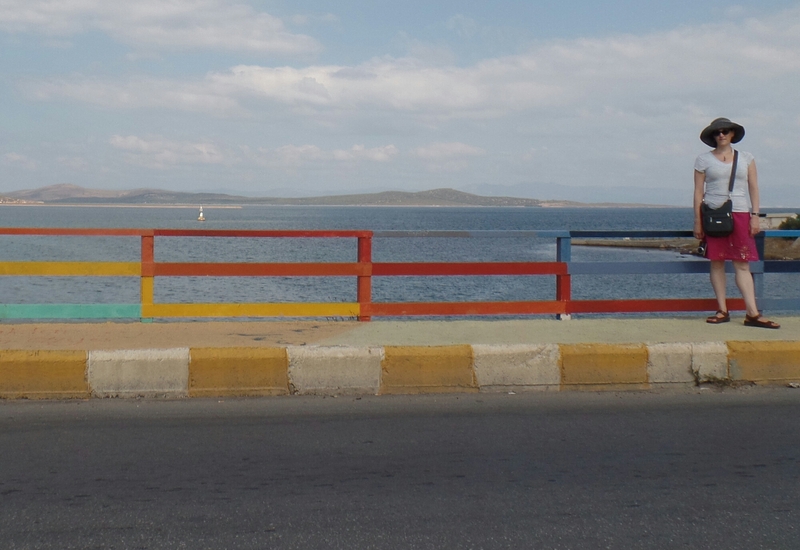 Ayvalik was an extraordinary little town. It was just the right mix of relaxation and stimulation. Erika posing on a rainbow bridge with the Greek island of Lesbos in the background. Yet, there are other equally lovely places that await us. On to Selçuk this morning for an exploration tomorrow of the ancient Roman ruins of Ephesus! 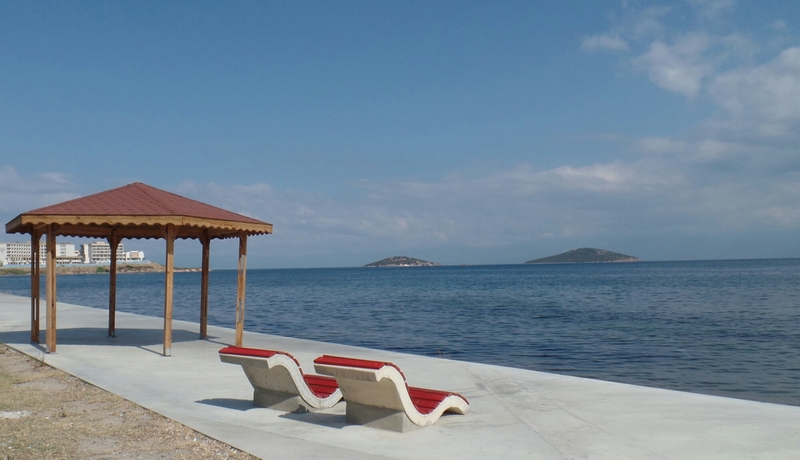 ← Ayvalik: a perfect seaside town. We were the second and third people at Ephesus the morning we went and it made it really worth the scurry. No one else for at least an hour and then the crowds descended. You are in for a treat.